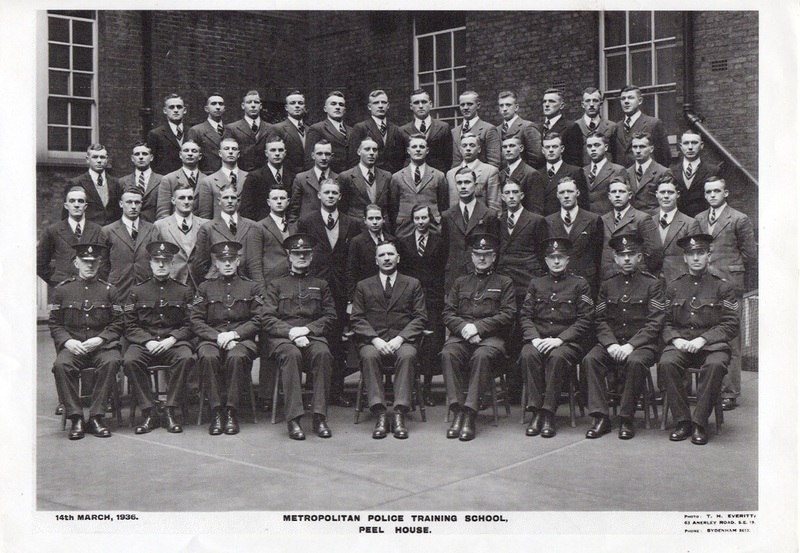 According to Police Orders Stephen Christopher Robertson, Steve to his friends, had joined the Metropolitan Police on the Monday 16th March 1936, however the Peel House class photo is dated the 14th, a Saturday, which was likely to be his first day at the training centre. It was here he became friends with Hurbert 'Jimmy' Whyte, a friendship that continued until his death. Both passed their probationer’s exam with honours and transferred to Cannon Row Police Station (AD). Before too long Steve was being posted aid to Buckingham Palace and St James' Palace. It was in a courtyard at St. James' that Irene Hunt, nee Barrett, had first met Steve during a lunch break with her friend, Molly, both of whom worked in nearby Pall Mall. His family home was at 8 Beverley Road, Dagenham, Essex where his parents, Stephen Edward and Ethel Robertson lived. He had a brother, Leonard. Being single Steve was required to live in a police section house. By the onset of World War Two he was living in Wellington Arch (AW) which was able to house 14 single officers. Together with 4 married officers plus a number of auxiliaries the Arch functioned as a police station covering the busy road junctions surrounding it and supporting the Palaces when needed. Stephen Robertson far right of front standing row. Jimmy Whyte (who supplied the photo) is far right back row. 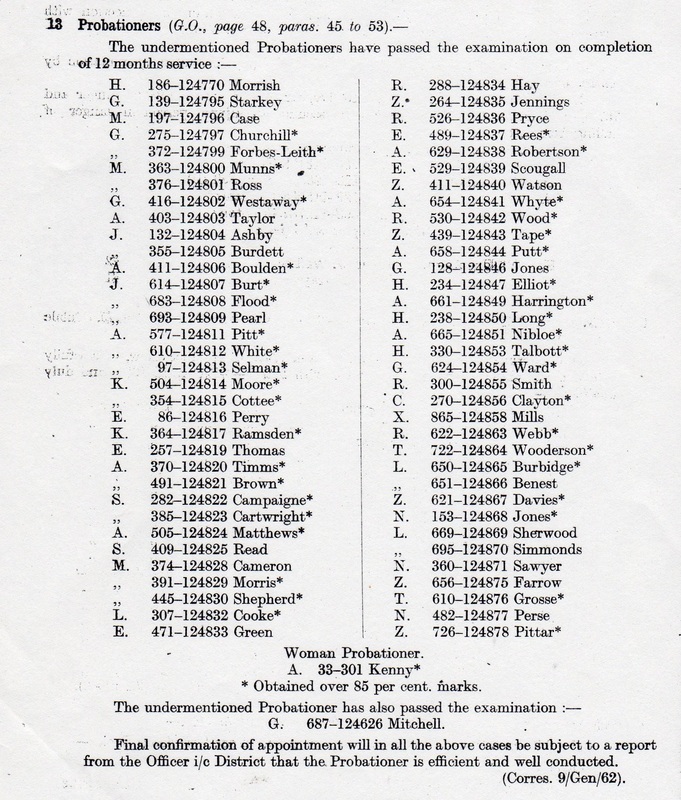 Police Orders, 16th March 1936. Police Orders, 30th April 1937. Police Orders, 17th March 1938.